Directed by Gauri Shinde. India. 2016. 150 min. Hindi with English subtitles. In this New York Times Critics’ Pick, Kaira (Alia Bhatt) is a promising cinematographer living in Mumbai. When her love life gets complicated and the building association kicks her out of her apartment, she finds herself moving back to the family home in Goa. 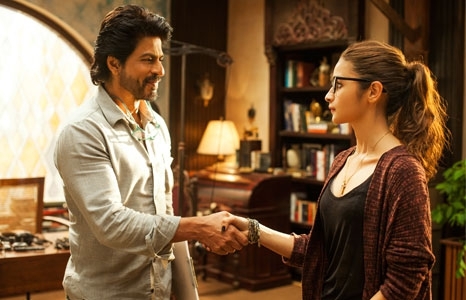 While there, she meets the eccentric Dr. Jehangir Khan (Shah Rukh Khan) who helps Kaira gain a new perspective on life. The festival kicks off with a celebration to rival an Indian wedding! Dance and sing with classic Bollywood tracks from DJ Rhombus and live performances by Aaja Nachle. Get a beautifully designed henna tattoo by Patricia Hu. Ticket includes food from India Café, with wine, beer, and soda available for purchase. Dear Zindagi screens at 7:30pm.